Product prices and availability are accurate as of 2019-04-18 12:39:36 UTC and are subject to change. Any price and availability information displayed on http://www.amazon.com/ at the time of purchase will apply to the purchase of this product. Added support for you and your baby, with night light and lullabies. 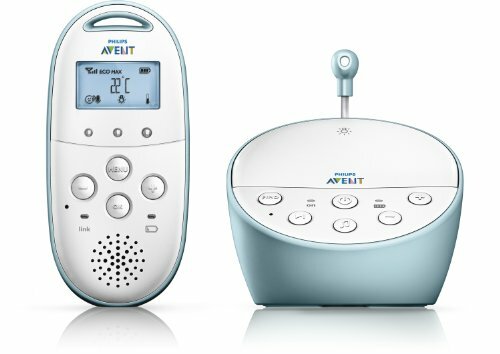 The Philips AVENT SCD560/10 Baby Monitor delivers a reliable connection to your baby. 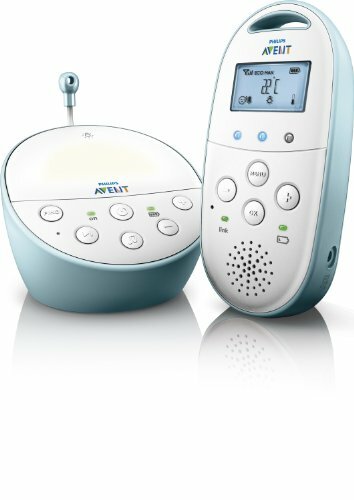 DECT technology guarantees zero interference from any other transmitting product like other baby monitors, cordless phones and cell phones. It also provides high quality, crystal clear sound so you can hear your baby anytime. Data encryption provides a secure and private connection. 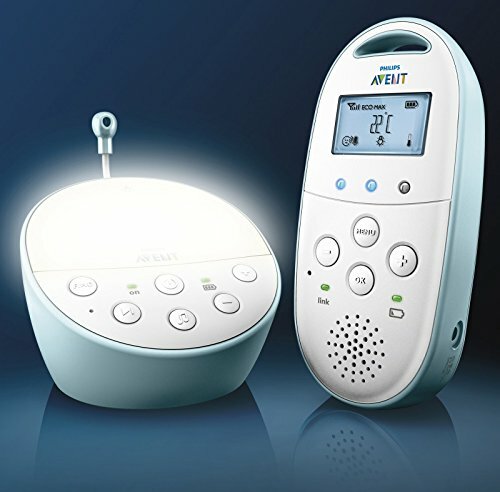 A customized temperature sensor allows you to monitor the climate in baby’s room, immediately alerting you, through the digital display on the parent unit, if the climate changes, as your baby cannot regulate her body temperature as well as you can and will get restless even with a slight change in temperature. If your baby is restless when you put them to bed, you can help soothe and calm your baby to sleep with the warm tranquil glow of the night light or you can select one of five gentle lullabies. 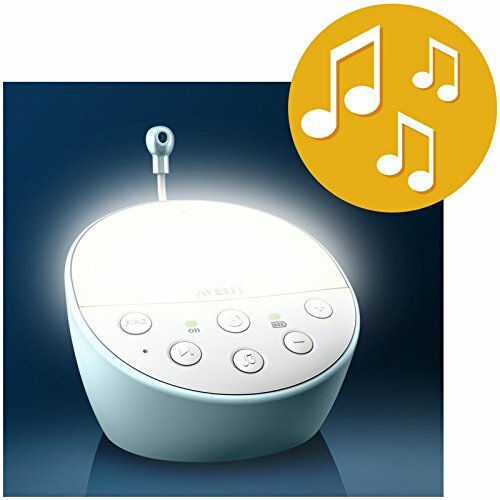 Other great features include sound activated lights to indicate the level of sounds in baby’s room, the ability to talk back to your baby, a range of up to 330 meters, a rechargeable wireless unit that with a comfortable deck cord so you can move around the house, and an alert on the parent unit when power is low or if you’re out of range.